Samsung declined to comment on whether it moved up the Note 7 launch to beat Apple’s. “Timing of any new mobile product launch is determined by the mobile business division based on the proper completion of the development process and the readiness of the product for the market,” the company said in a statement. 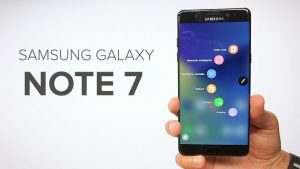 … They agreed to a slew of new features, including an improved screen and stylus—then approved a launch date 10 days earlier than last year’s model, according to a person familiar with the matter. Samsung’s $2b Mistake, Bloomberg Businessweek, Sep 2016. I often say I’ve never delivered a project late that I managed from beginning to end. I also then have to qualify that and say I’ve delivered from 30 days early to 10 days late, but even those 10 days late were celebrated by our customer as being on time because in the past we were always months late, always. With this perspective the notion that Samsung set a launch date of 10 days earlier than the previous year probably had nothing to do with the problems they had. As to the “slew of new features” I’d like to know how many new features were normal on their new products. Often the “slew” for many organizations I’ve worked with was nothing more than the normal additions in any project — many often brought in late in the development process. So timing is important and, as I’ve had to mention on more than one project, it only takes one defect to cause us to miss a deadline. With that said when a project hits its deadline but the product is not a success, it is usually due to something that happened much earlier in the process. From my experience, it was simply not picking the right features or the right product for that time frame. I’ve delivered some pretty unexciting products — on time and with good to great quality — but good project management and engineering won’t turn a mediocre idea into a winner (though good marketing can sometimes do it). Have you had any well managed projects that produced products that were not very successful? Just remember that you did your part by delivering the product on time with good quality.